We started 2018 on the Guadalupe in Texas (Guadalupe River Update), then visited Arizona to see our daughter in Phoenix, play some pickle ball and watch some Cactus League games. After Phoenix, we headed up to fish the Lees Ferry again (Lees Ferry Redux). Finally, we packed up the SaraLinda and headed back to our second home, Bozeman (MT). Since we arrived, the weather has been crazy. One day we see sunshine and 50-60 degrees…. the next, we awaken to a fresh 2-3 inches of snow on the ground. What we’ve learned is that this is “typical” for a Bozeman spring. We also learned that the winter here was anything but typical, as Bozeman and the surrounding mountains experienced almost record setting snowfall. The snowpack is tremendous which means runoff, when it happens, will likely bring flooding, but will also hopefully bring good water conditions for fishing throughout the year. Fingers crossed! While we’ve been out fishing a couple of times on the Gallatin and Madison Rivers, we’ve been spending time unpacking some boxes and getting our place here ready for an extended stay. However, we always get the urge to take a road trip when we’ve been here for more than a week, and that usually means Yellowstone, here we come. You can find our previous Yellowstone adventures at: Yellowstone Spring 2017, Snow Day and YNP Magic. For now, please enjoy the short music video above chronicling our most recent trip across the northern section of the park. For details regarding the video, please continue reading below. While both the north and west entrances to Yellowstone are equidistant from Bozeman, in springtime, the only entrance that is open is the north entrance where the famous Roosevelt Arch welcomes visitors. We always pause here, take a few pictures (yes, we’re always tourists here) and make our way up the mountain to the Mammoth Hot Springs area. Springtime brings many different animals into view as you travel through the park from Mammoth Hot Springs to Tower Junction. We found small herds of elk near the Arch, as well as along the roadway to Tower. At one point, we saw a herd meandering its way through a group of bison who were grazing in a small open space near the roadway. Neither the bison or the elk seemed to mind they were intermixed together as they migrated through the area. We stopped and had lunch overlooking a valley with a view of what was to come on our journey through the park….. snow! There were small patches of snow still on the ground as we drove the road between Mammoth and Tower, but only patches. However, when we stopped for lunch and looked in the distance at the mountains, they were still snow covered. After lunch, we made it to Tower Junction and continued on the road toward Cooke City (MT), crossing the Yellowstone River. This north road in YNP is kept open the entire winter to allow the residents (and visitors) to Cooke City to get back and forth to civilization. This YNP road is the ONLY road open to Cooke City in the winter. The road to Cooke City eventually meets up and follows along the Lamar River for a stretch, including a canyon section of the Lamar where we ran across an osprey couple getting their nest ready for the babies to come. Last summer when we drove by this spot, a pair of eagles were raising their young in this nest. Turns out, sometimes eagles “steal” osprey nests before they come back to nest in the spring. The eagles got the best of this nest in 2017, but the osprey beat them to the punch in 2018. As we continued along the roadway, the amount of snow continued to show itself. No longer were there simply patches, but snow everywhere. We were gaining elevation each mile we drove toward Cooke City. The Lamar River is one of our favorite fishing destinations in Yellowstone, so we stopped at various spots to take pictures of some favorite fishing holes. We’re not too concerned about giving anything away however, since at this elevation, the river was shrouded in snow. You’d be hard pressed to see the photo and find it again come summer, when the fishing gets going on these stretches. At the point along the road the Lamar breaks away and heads up into the distant mountains, Soda Butte comes into the Lamar, and the roadway follows it all the way to Cooke City. 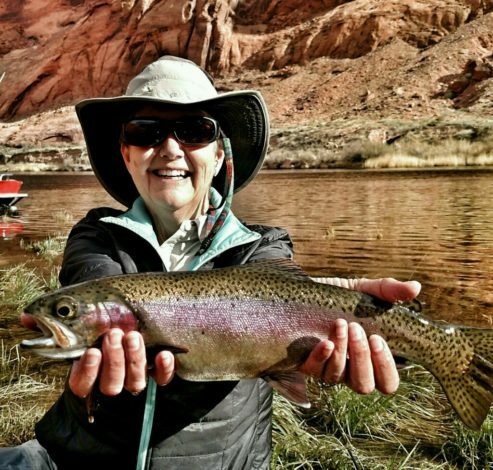 Soda Butte is another of our favorite fishing spots in the park. It’s also the favorite of many anglers who head here in summer to catch native Yellowstone Cutthroats. As we progressed toward Cooke City, the snow piled up about 3-4 feet along the road. This part of the park isn’t going to be “clear” for some time to come. However, we had to stop and take a few pics of how beautiful the snow covered meadows and mountains were. On the way back, we of course encountered more elk and bison, but also, a lone coyote ambling along the highway, scrounging for food while taking drinks out of the runoff streams that seemed to be flowing everywhere. What is so special about visiting the park during this time is how quiet it is. We drove miles at a time without seeing another car, yet the scenery, geological features and animals that people come from the world around to see in summer, are all on display. Can’t wait for fishing season to open in the park Memorial Day weekend! Montana has been our second home for years now, and will become our primary summer months home soon. We absolutely love this state, the spirit of its people, the near perfect summertime temps, the endless opportunities for outdoor adventures and especially its world class fishing. Before we even looked inside the pages of the Trout Unlimited’s Guide to America’s Greatest 100 Trout Streams book, we knew there would be numerous Montana streams included. Below is the list of the 9 rivers included in the book, along with links to our “Guide Talks” and highlights of our time in Montana. When we fished this river in June, 2017, we found a Big (fast) Hole flowing. We’d just missed the famous Salmon Fly hatch by a couple of weeks, so we’ll be back. Another reason to come back is the Beaverhead River which is nearby, and while for some reason excluded from the TU Top 100 book, is itself a tremendous trout stream. If you visit the area, make sure to make Melrose (MT) your base came. The true Montana feeling of this small town with the Sportsman’s Motel, Sunrise Fly Shop and Hitching Post restaurant/bar right next to one another is not to be missed. 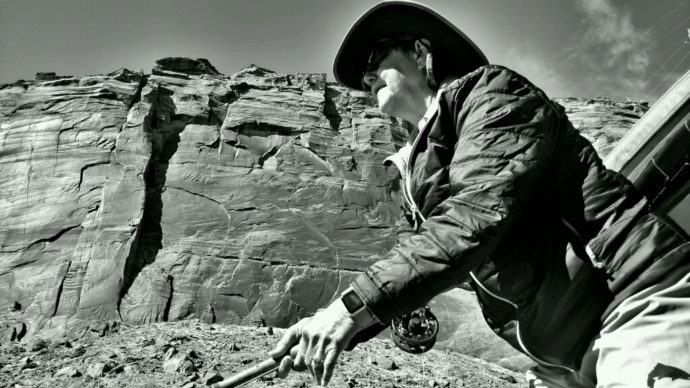 We’d never fished the Big Horn before our River Ramble, but it has become one of our favorite rivers. 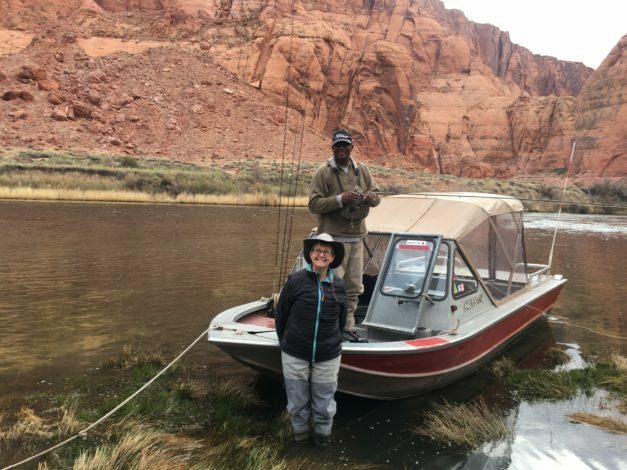 We took a memorable ride on the “Bighorn Mothership” with Merritt Harris and had a “Bighorn Blast” fishing in the area. If you want to experience catching lots of big fish, this is a fishery not to be missed. “Bitterroot Chase” Harrison was our guide on the Bitterroot and Pat’s Rubber Legs was the fly of the day. When Chase learned we were interviewing “characters” along our River Ramble, he immediately recommended someone we had to meet, Andy Carlson. Andy is a guide/outfitter, fly creator (Purple Haze among others) but most importantly, his “Conservation Leadership” has been critical to keeping the Bitterroot a world class fishery. We had the distinct pleasure of fishing with “Ben DeMers on the Blackfoot” River. Ben, like Chase, guides for Missoulian Angler in Missoula. It was our first trip on the Blackfoot and Ben made it memorable with both the fishing and his knowledge of the river and surrounding areas. He gave us tips for fishing Rock Creek as well. This river was highlighted in A River Runs Through It. The Gallatin is our “home river” out of Bozeman and we’ve fished it from far up in Yellowstone National Park to its joining with the Jefferson and Madison Rivers to form the Missouri. Our goto shop in Big Sky is “Wild Trout Outfitters” and we sat down with owner JD Bingham to talk about the Gallatin. We also took time to feature our local waters with a highlight post “Gallatin-Big Sky Highlights“. While the Lower Madison is closer to our Bozeman basecamp, the Upper Madison from Ennis into Yellowstone is our primary fishing stretch of the river. We featured this river on two different float trips. The first was “Madison Mayhem” with Spaz out of Kelly Galloup’s Slide Inn. The second as a “Madison Redux” with Steve Smith out of River’s Edge fly shop in Bozeman. Needless to say, we really enjoy fishing all the stretches of the Madison. While we both grew up in a small river town, Lexington (MO) on a bluff overlooking the Missouri River, it bears little resemblance to the Missouri River in Montana, especially the section just below Holter Dam. 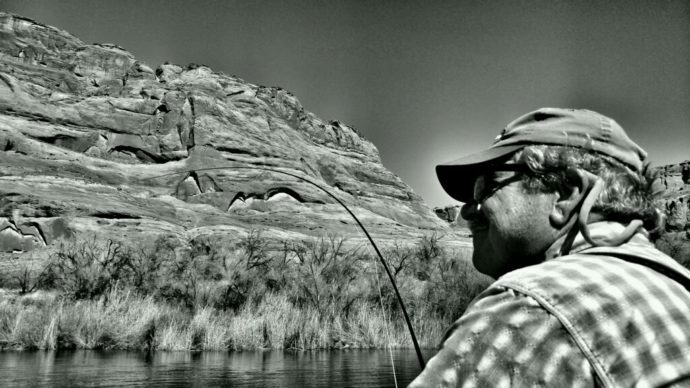 Our River Ramble “Mighty Mo” trip with Shane Wilson of Headhunters Fly Shop in Craig (MT), was not our first on the river, and it sure won’t be our last. This stretch of the Missouri is filled with acrobatic, hungry bows and browns ready for an epic fight. We fished Rock Creek from Clinton to Phillipsburg and were blown away by the beauty of the area. We didn’t have a guide for our time on Rock Creek as all of our guides in the area told us we’d be just fine on our own. Turns out, they were right. A stimulator, purple haze or parachute adams were all we needed to bring hungry trout to the surface…. so we dubbed our river post “Rock Creek ROCKS!”. Like the Gallatin and Madison, the Yellowstone is one of our “regular” rivers to fish and the section between Gardiner and Livingston is our favorite. We’ve floated it many times with varying degrees of success. 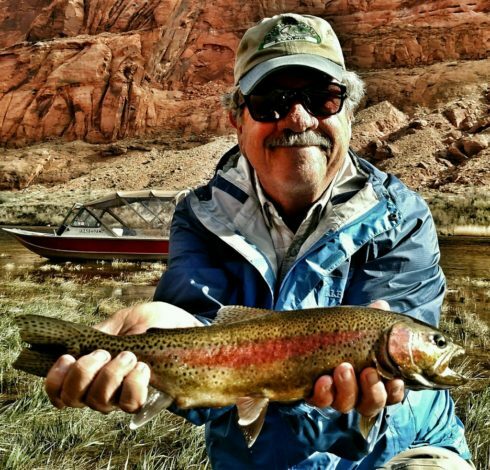 Our last trip, with Jeff Pavlovich of Flies Only Fishing was incredibly successful. As a matter of fact, we only used one fly to catch a lot of beautiful Yellowstone Cutthroats…. which gave us our “Guide Talk” title “Chernobyls on the Stone“. The only modification was between brown and yellow colors. There are three rivers listed in the Trout Unlimited’s Guide to America’s 100 Best Trout Streams that hail from Virginia (Rapidan) and West Virginia (Seneca Creek, Cranberry). As we traversed these two states we couldn’t help but imagine there were many more rivers that could have been on the list, especially given that two of these rivers are very small mountain streams of which there are many in the mountains here. We actually did fish another, Hazel Creek in Virginia, when we found we couldn’t get to the spot on the Rapidan that our guide, Carson Oldham of Albemarle Angler in Charlottesville had originally intended to take us due to the road being blown out. Luckily, Barb and I had hiked up the Rapidan the day prior to fish it from another access point. One of the things we were most struck by in both VA and WV was the natural beauty of these states. As you’ll see when you watch our music video of The Virginias (above), this natural beauty was for us, the highlight of fishing here. While we did hook into fish in each of these streams, the fishing was not spectacular from a “catching” or “size” perspective. We fished Seneca Creek and the Rapidan in the fall and the Cranberry in the spring, so perhaps it was our timing. We did enjoy our “Creek Stompin’ in West Virginia” and the “Wild and Wonderful” Cranberry. However, one of the things we found fishing the two WV streams was the lack of guides and fly shops to assist us in our fishing. We did get great help for the Rapidan and Hazel having Carson along with us on our “Oh Shenandoah” journey. In a downpour of rain, we fished small pockets of water along these beautiful streams hooking into beautiful small trout. We hope you enjoy this short video chronicling our time in The Virginias. We’re sure to come back and find more of these small mountain streams to explore.